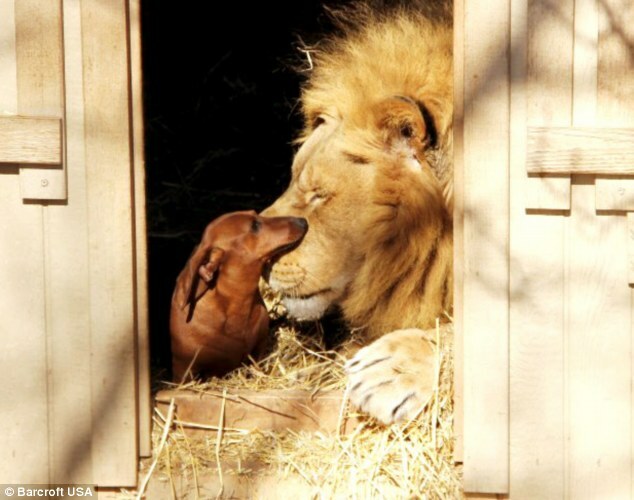 After my previous article about animal friendships, I found the friendship of a Lion named Bonedigger and a Dachshund named Milo truly inspiring. Bonedigger has a metabolic bone disease which has left him slightly crippled. 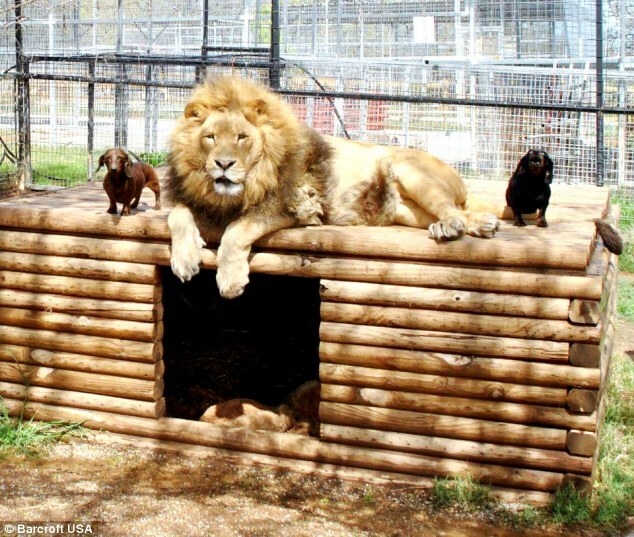 Milo, and a couple other Dachshunds, seemed to recognize his disability and took to him to protect him as part of their pack. 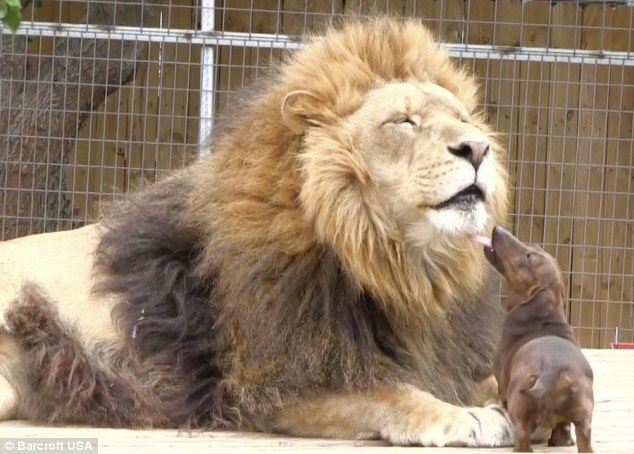 Milo has been with the lion since he was a cub, so they have a special relationship to the point that Milo will even groom him. All of these animals live at the G.W. Exotic Animal Park in Wynnewood Oklahoma. The pictures alone are simply amazing! 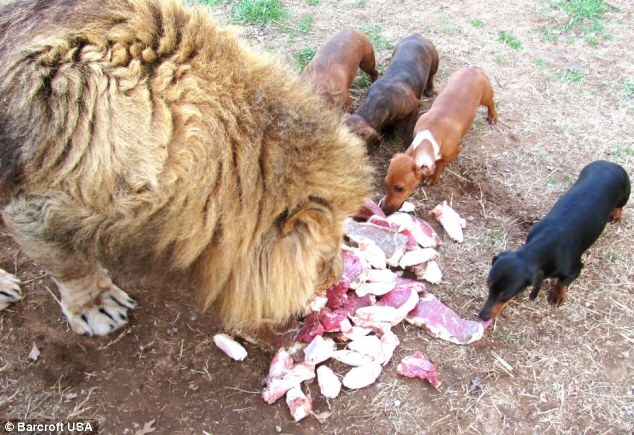 Such a big cat with such small dogs, sharing in mutual grooming and even eating together! I think it can be easily said that animals form friendships. 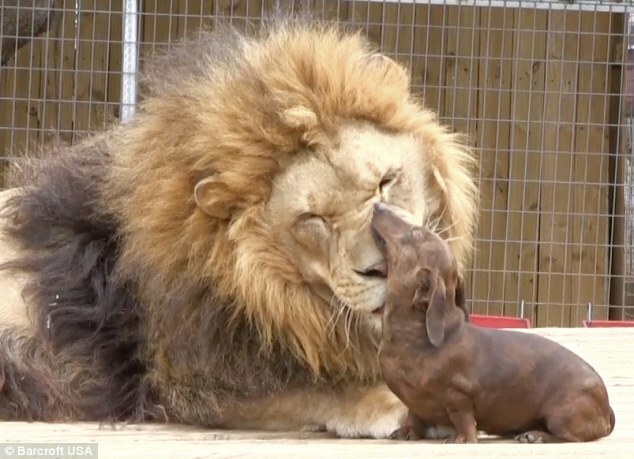 Such a small dog would seem like an easy snack for a lion, but instead they are living together in a way in which is enriching for both. Even more intriguing is the story of Bonedigger’s keeper, John Reinke. 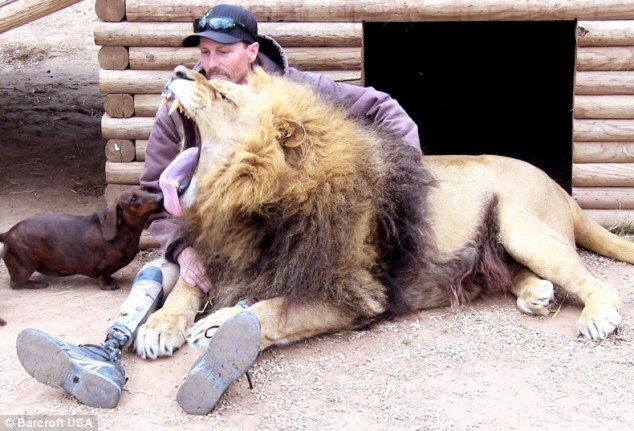 He used to be a professional bungee jumper but ended up losing both of this legs to an accident from the sport and now works with big cats. You can read his story at NewsOK. If you are ever near the G.W. Exotic Animal Park you should pay these unique animals a visit!